Choose the membership that best suits you. Amstelpark is the only tennis club in Amsterdam that allows you to move indoors at a reduced price if the weather turns bad. 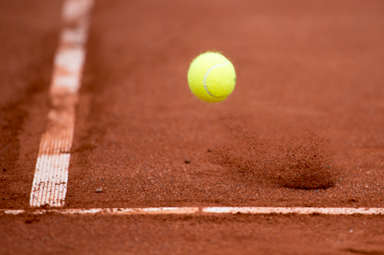 Enjoy your tennis year round on our beautiful clay courts. Amstelpark is the place to be for recreational tennis players looking for group or private lessons. We only employ professional tennis coaches with a passion for the sport. They provide lessons for young and old at any level. With a total of 21 outdoor courts (red clay) and 11 indoor courts, Amstelpark offers you great options for playing tennis with your friends. Book a single court or get in contact for a weekly scheduled contract court. Tennis Club Amstelpark welcomes everyone of all levels and ages to play tennis at our great facilities on the edge of the Amsterdamse Bos. 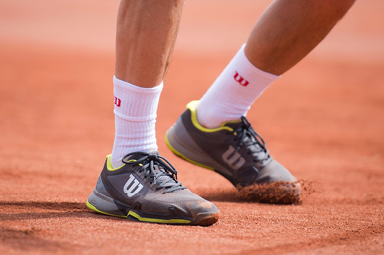 Since it was founded in 1986, Amstelpark has been a leader and innovator in the world of tennis. Amstelpark is the tennis club for players of all levels and ages. 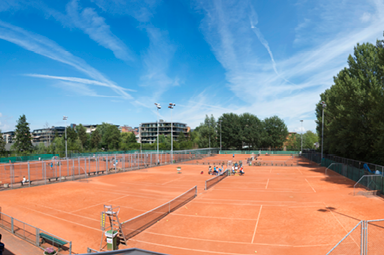 Its centrally located between Amsterdam and Amstelveen providing easy access to the 21 outdoor clay courts and 11 indoor courts. Amstelpark offers memberships, tennis lessons, court rental and much more. Nothing beats playing a nice tennis match against an opponent at your level. 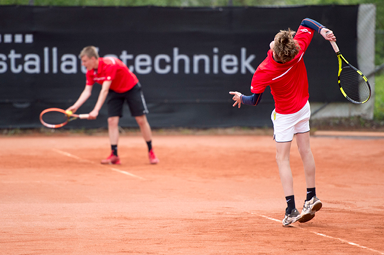 Tennis Club Amstelpark organizes a great many tournaments each year. Everyone is welcome to join. A great way to meet other tennis-minded people and test your skill against competition. Kids love the tennis camps organised bij Amstelpark. They provide a great experience for children aged 5-17. 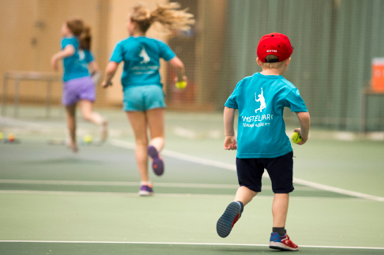 With 4 hours of tennis each day and an exciting variety of other activities, our camps won't soon be forgotten by your fun-loving child. Lunch and fun are always included. If you want to play tennis at a set time on the same day each week, contract court rental is for you! We'd love to organise a cool tennis clinic or fun tournament for your employees or partners. 32 tennis courts located at the edge of the beautiful Amterdamse Bos. All 21 outdoor clay courts and 11 indoor courts have lights to ensure you can enjoy our park day and night.